Despite humble city-car origins, the Civic took America by storm - and took Honda to the pinnacle of engineering excellence. Drive-My drives a rare survivor. Words Antony Ingram. It’s hot. Sweating-standing-still hot. The kind of weather that requires you to peel yourself slowly off 1970s vinyl seats for fear of either taking something with you or leaving something behind. 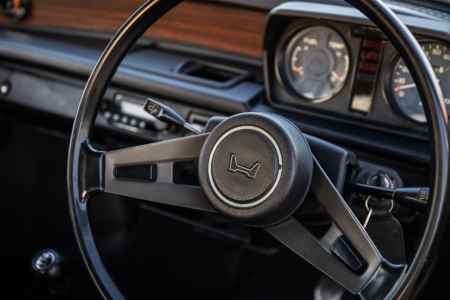 Thankfully Honda has seen fit to trim the centres of its seats with a soft fabric and I’m wearing jeans, so it’s not as uncomfortable as it could be, though I do worry that the jet-black rim of the three-spoke steering wheel might make a mark on my palms like a branding iron. 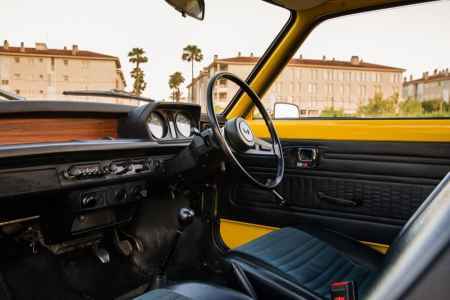 If there’s one thing I don’t have to concern myself with, it’s that the inline-four up-front will, without fail, fire into life within a few churns of the starter, and whirr away at idle with no hint of a stumble in the 30° Catalonian sun. 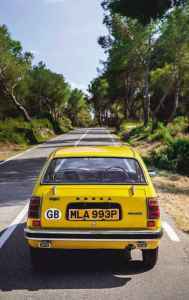 Passing traffic could be forgiven for dismissing this bright yellow saloon as just another old car, but few so humble have been quite so significant. To those familiar with Honda, its impact is more obvious. Nine further generations of Civic have followed since the first, and it has become one of the world’s biggest-selling nameplates. Since it’s from the company that made the world’s most numerous motorised vehicle, the Super Cub motorcycle, that’s no great surprise. Engineering ran in Soichiro Honda’s blood. He was born in 1906, his father a blacksmith and his mother a master weaver, as capable of fixing the machines she worked on as operating them. His father sent him, aged 15, to Tokyo to become an apprentice at Art Shokai, an auto repair shop. By 21 he had opened a branch of Art Shokai in his home province of Hamamatsu, and was soon innovating as well as repairing. In 1931 Honda invented an automobile wheel with cast-iron rather than wooden spokes, which he licensed abroad, living well off the royalties. From there he moved on to piston rings, attending technical school to improve their quality, and after the war he set up the Honda Technical Research Institute. While his initial ambition was to develop mechanical rotary looms, post-war Japan was in dire need of transportation, and Honda quickly set-up in business fitting engines (formerly used to power army radio sets) onto bicycles. When supply ran dry he developed his own two-stroke engine and by 1948 he’d joined forces with financial mastermind Takeo Fujisawa. Sales grew rapidly, and Honda’s motorcycles evolved at a similar pace. In 1952 Soichiro created a four- stroke overhead-valve engine, more efficient than contemporary flat-head designs, the Honda Cub followed later that year, and by the end of it Honda was producing 6500 Cubs a month. In 1958, the company introduced the Super Cub, conscious of the rising success of mopeds in Europe but also of their deficiencies, the result was a convenient step-through backbone chassis, with an easy-to-operate automatic clutch and covered engine, characteristics that wooed as many women riders as they did Honda’s intended delivery company audience. Success in the States, in part thanks to the timeless slogan created by Grey Advertising - ‘You meet the nicest people on a Honda’ - meant the company was selling more than a million motorcycles a year by 1962.
the first car would follow in 1963. Honda was among the last Japanese automakers to join the automobile market but, at Soichiros insistence, its first offering was no uninspiring conventional car or truck, but a sports car, the S500. It did not sell particularly well, with Japan’s roads being unsuitable for low-slung vehicles at the time, but it was a toe in the water of four-wheeled vehicles, the twin-cylinder N360 of 1967 also sold slowly at first, but went on to became Japan’s highest-selling kei-jidosha, or lightweight automobile. The H1300, Honda’s rival to Toyotas Corolla and Nissan’s Sunny, was less successful. Soichiros stubborn desire for an air-cooled engine, like the N360s, had escalated development costs and it couldn’t be exported to the US thanks to a change in safety regulations. It proved a hard sell when the N360 was being investigated for safety defects, and Honda lost money on every one. With a close eye on America, which was reeling from increasing road transport pollution, Honda began work on a new vehicle. Fujisawa gave the go-ahead to start the project behind his business partner’s back, desperate for Honda to succeed in the vital US market. A new water- cooled engine was developed that could run on unleaded gasoline, while engineers developed ‘compound vortex controlled combustion’ technology - later referred to as CVCC - that reduced emissions by 80% even in prototype form. It would prove vital to Honda’s success against emissions-strangled American rivals. 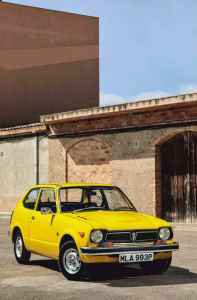 The acronym lent itself to the name Civic, which also illustrated suitability and affordability for suburban citizens, and suggested that the car was not outwardly innovative - a direct response to Soichiros complex H1300. Its body was a two- door steel monocoque, suspended by struts at all four corners, and the only unusual feature was its two-box design, criticised as ungainly but usefully shorter than three-box rivals. Up-front sat an 1169cc water-cooled and Hitachi carb-fed crossflow four-cylinder, transversely alongside a four-speed synchromesh manual transmission. 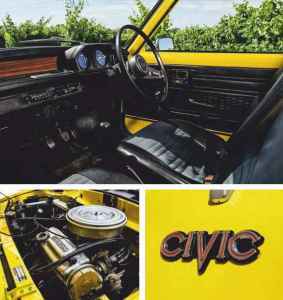 In the US, Honda’s CVCC technology allowed it to meet American emissions regulations three years ahead of time, the Civic was unveiled to the world on 11 July 1972. Were it not for the colour, our 1975 car would be as unassuming today as it was at launch. 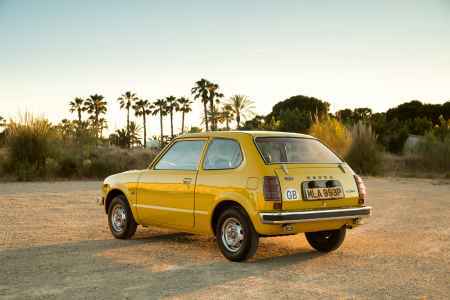 It’s compact: the first three generations of Civic were supermini-sized; only from the fourth did it grow into the Golf rival of today, those original 1972 cars were little longer than the Renault 5 launched the same year, though the Civic undoubtedly lacks the visual character of the trapezoidal Cinq, or the Giugiaro-penned Golf that had arrived a year before this particular yellow car rolled off the line at Suzuka. 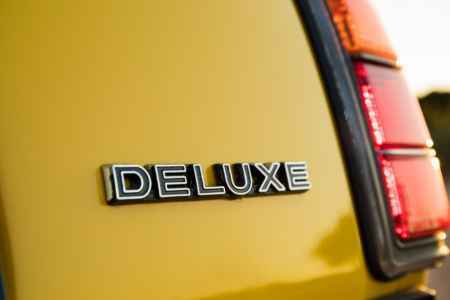 Nevertheless there are neat details, such as the small raised vents on each side of the bonnet, while typophiles will appreciate the variety of fonts used on the exterior badging. Even the red Honda emblems morph from tall to wide depending on whether you find them on the grille, wheels or fender badging. The door opens with a click of the slim chrome handle. Exposed metalwork, blue instrument dials and a convincing woodgrain panel (‘a touch of luxury’, states the brochure confidently) enliven what might otherwise be a rather dark cabin, but the two-spoke wheel, and surprisingly supportive cloth and vinyl seats with their liquorice-roll headrests, lend the cockpit a sporty feel, the 1500 model launched that year – with its dashboard-mounted fuel and coolant temperature gauges and a tachometer in the instrument binnacle - might even have felt racy, though Europe never received a true sports version such as the five-speed, twin-carb 75bhp RS offered in Japan. The little Honda’s overhead-cam motor is already warm, and fizzes into life on first twist of the key with just a little throttle and no choke. Honda’s brochure boasts of an exhaust system designed to be quiet ‘even at high engine speeds’, and in a modern context there’s still some truth to those words. High in this case means 5500rpm, where it develops its maximum 49bhp, with 58lb ft of torque available at a usable 3500rpm. There are no surprises with the light clutch or precise gearshift, so the whole drivetrain encourages you to make the most of the little engine, here’s even the hint of a growl emanating from the carburettor as the crankshaft spins through the torquey mid-range, right-hand pedal pressed into the carpet, but there’s never much fuss and the engine hums away smoothly even under hard acceleration. The sinuous lakeside roads around Castellet, near Barcelona, feel quite appropriate given the diminutive dimensions. 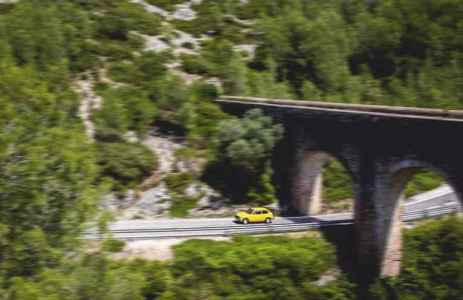 At 1505mm wide the little yellow car is narrower even than a modern Smart Fortwo, and we seem to have acres of space as other cars squeeze between kerb and centreline. It gives you room to explore your own lane too. The steering is low-geared but light and precise at all speeds, only weighting- up appreciably through tighter corners, accompanied by an amusing squeee as the rubber scuffs across the road surface and the tyres flex on tiny 12-inch steel wheels. 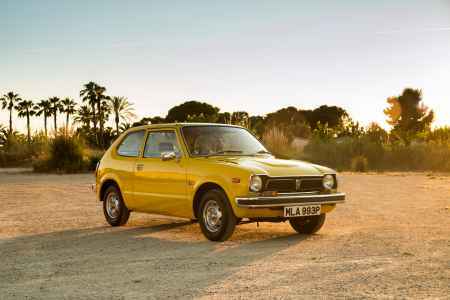 Not as taut as a Golf nor as characterful as a Renault 5, the Civic nevertheless succeeds at meeting its brief: practical, easy to drive, and unfailingly reliable, the press agreed, so it took the Japanese Car of the Year gong in 1972, ’1973 and ’1974, and even impressed the sceptical European Car of the Year jurors, coming third in 1973. The first generation lasted until 1979. What followed was a range, with the Ballade saloon that begat the Triumph Acclaim, plus the Quint liftback and a wagon, while 1983s third generation diversified to include the CRX fastback and innovative Shuttle MPV. The fourth generation of 1987 brought with it, in Japan at least, a powerful VTEC engine; then the curvy fifth-generation car arrived in 1992, adding a pretty coupe to the range. 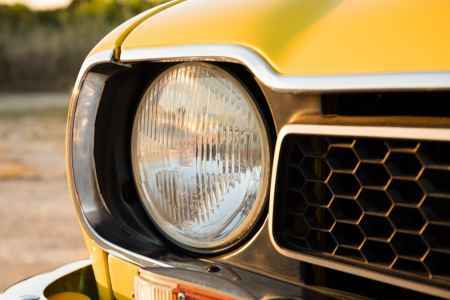 The Civic has since grown ever larger, more advanced and even sporting, but its position as a car for regular citizens - practical, reliable, easy to use and environmentally conscious - is as relevant now as it was back in 1972. If any car defines Honda, it’s this. Left: Bright yellow yet otherwise unassuming, this reliable and easy-to-live-with compact car for the people is the definitive Honda. Clockwise from far left: You don’t see these too often these days, yet they were once ubiquitous, especially in America; neat interior set a style that was evoked in subsequent generations; technologically advanced engine fought emissions and lent the car its name.